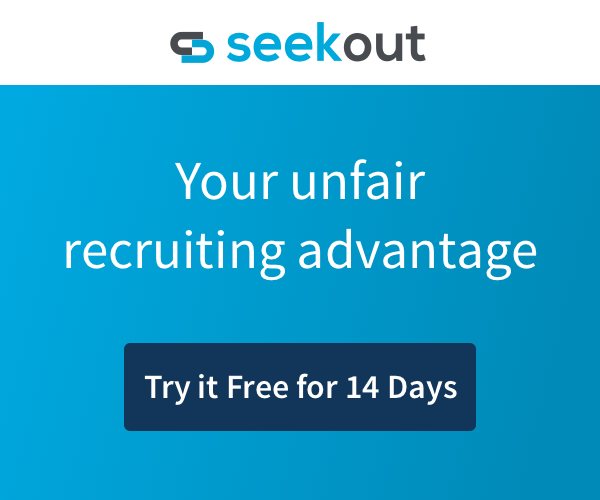 In this post, the SeekOut team shares their favorite cold recruiting email template along with some strategies and best practices for recruiters looking to maximize their candidate response rate. Finding candidates is relatively easy compared to actually engaging with those candidates. With 70 percent of the global workforce considered “passive talent,” it’s tough creating that spark with someone who isn’t looking for a new opportunity. But, with the right cold recruiting email template, it’s not impossible. The average candidate response rate for most recruiters hovers around a measly 20-25%. With a little work, you can boost your passive candidate email response rate as high as 65 percent. 1. Make your subject line count. When it comes to getting a response, your lead-in makes all the difference. And guess what? The same theory applies to your passive candidate emails. No, I’m not suggesting you use your best pick-up lines on potential candidates. But, I do think you should aim for your email subject lines to have a similar effect as a suave online dating introduction. Flatters the recipient. Children’s author Arnold Lobel once said that “nothing is harder to resist than a bit of flattery.” And it’s true: a study presented in Scientific American found that even overtly manipulative flattery still has a positive impact on marketing efforts. That’s why subject lines like “Impressive Resume” or “Great Profile” are still effective for many recruiters despite their widespread use. They catch your candidate’s attention by appealing to an irresistible force — their ego. Shows you did your research. Along with flattery, personalization works. If you can find a way to connect with a candidate’s interests, your chance of getting them to engage increases dramatically. Sure, I’m not reaching out looking to play golf. But that level of personalization immediately sets your message apart from the 88 emails the average person receives each day. But, frankly, we can all do better. And without all that much effort. If the goal of a subject line is to get a candidate to open the message, then — at the risk of stating the obvious — give them a reason to open the message. I can read that subject line and make an immediate decision on whether or not it’s worth my time. There’s no incentive for me to open it up unless I am interested in hearing about new jobs (which, again, the majority of candidates are not). Instead, use a deliberately vague subject line that draws the recipient in and intrigues them enough to open the email. Of course, a good subject line doesn’t guarantee a response — it just gets your candidate in the door. To get a response, the body of your email needs to use a combination of the flattery, intrigue, and personalization you included in your subject line. 2. Personalize your emails at scale. But, the problem with personalization is that it takes so much time. No one has the bandwidth to research and write one-to-one messages for every single candidate. Name. This is an obvious one. If you’re not personalizing the person’s name…yikes. Day of the week. Here’s an easy one that gets overlooked by many recruiters. Say something like “I hope you’re having a good Thursday” or “I know it’s Monday and you’re catching up from the weekend, but…” Using the day of the week makes your email feel fresh (even when it’s not). Want to see how we bring all these personalized elements together? Check out our cold recruiting email template at the end of this post. 3. Responding should be effortless. According to recent data from Litmus, mobile devices accounted for 47 percent of email opens in 2017. That means there’s nearly a 50/50 chance that your candidate reads your email on their phone. And if you want to get a response from a candidate on-the-go, you need a simple call-to-action. Something that your candidate can quickly respond to from their phone. So, no asking for resumes. Don’t direct candidates to an online application. And don’t ask them when might be a good time to talk. A passive candidate won’t have their resume on their phone. And they certainly aren’t going to apply for a job from your first email. But even asking for a phone call might be too much to ask. Responses sent from a mobile device are 60 percent shorter than those from a desktop. So, asking a candidate to check their calendar and then pitch a few dates/times may be more than they can handle from a phone. Simplify your requests to a one-word candidate response. Don’t ask the candidate when they are free to talk. Tell them when you plan to call and ask them to reply if there’s a time that works better. That CTA accomplishes two things. First, it sets the stage that a phone call will be happening unless they tell you otherwise. Second, it encourages a response whether the candidate is interested or not. If that time doesn’t work for them, they need to reply and suggest an alternative. If they don’t want to talk at all, that “if I don’t hear back from you here” line encourages them to let you know. Either way, you’re getting a response and can take action from there. 4. Use an active (and accurate) email address. When it comes to contacting candidates for the first time, many recruiters rely on messaging services from the sourcing platforms they use. According to a report from AdWeek, 48 percent of recruiters exclusively used LinkedIn for candidate communication back in 2014. And with a 40 percent boost in recruiter “InMails” in recent years, that number has surely increased. Find candidate email addresses on the top sites where you source. Access candidate contact information directly in SeekOut. SeekOut has over 100 million candidate profiles available in the U.S. alone, making it a go-to tool for candidate sourcing. SeekOut makes it easy to source the right people and engage with them through the channels where they are most active. Ready for our cold recruiting email template? We’ve put together these best practices and a few others not included in this post to create a cold recruiting email template you can adapt to your own voice and recruitment strategy. Hope you’re having a great [DAY OF WEEK]! My name is [YOUR NAME] and I work on the talent acquisition team here at [YOUR COMPANY]. I was on the hunt for some great [CANDIDATE JOB TITLE] talent in [CITY] earlier this week when I came across your profile. You have a great background — I am a big fan of [CANDIDATE JOB TITLE] from [CANDIDATE COMPANY]. I know [CANDIDATE COMPANY] is a great organization and that you may not be actively looking for something new at the moment. But, if you’re open to hearing more about [YOUR COMPANY], I think you’ll be impressed with what we have to offer. If I don’t hear back from you here, I’ll plan to try giving you a quick call during around lunchtime on [DAY]. Of course, if there’s a time that works better for your schedule, shoot me a quick reply and I’ll happily accommodate. LinkedIn InMails Don’t Work. Try These 4 Alternatives for Contacting Candidates. Get new posts straight sent to your inbox. Copyright © SeekOut. All rights reserved.